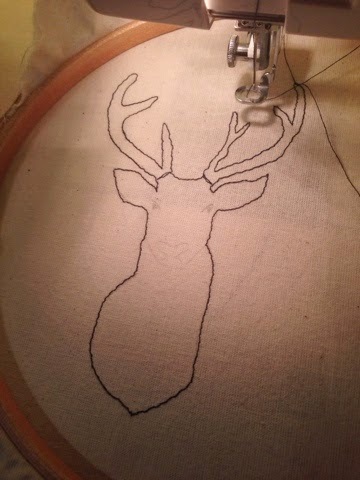 I've had the past two days off work, so I had chance to get out the sewing machine and get creative. 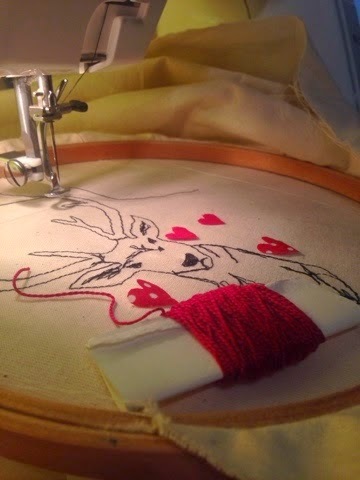 I love free hand machine embroidery and needed to make a Valentines card for Neil, this idea had been in my head for a while. 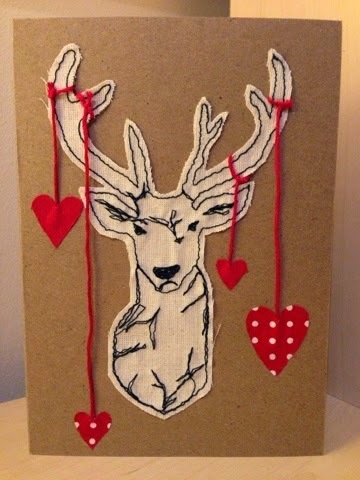 At Christmas I made a few stags head cards for friends and family and using the same design I've added a romantic twist. The card turned out exactly as I'd imagined it and I love the facial expression of the stag he doesn't look too please about being decorated; I can't wait to give it to Neil later. I'm a typical girl when it comes to Valentines Day, I love flowers and romantic gestures however teddy bears holding love hearts are definitely off limits. I hope you all have a loved filled day, whatever you're up to and whoever you're spending it with! 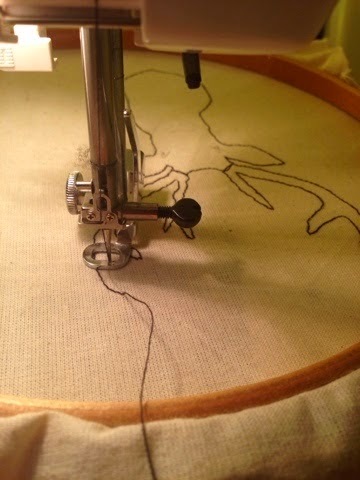 Gorgeous card with fantastic free hand machine embroidery - I love it!